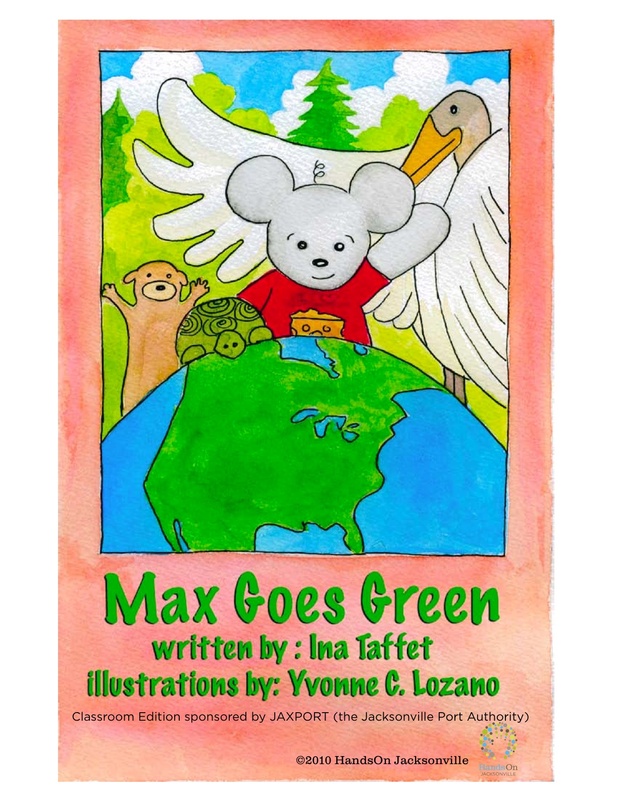 I was asked by Hands on Jacksonville to illustrate a children’s book written by Ms. Ina Taffet that helped bring environmental awareness to the little ones of our community and beyond. I fell in love with the idea of Max the Mouse and his little adventure. I totally flew with the idea of him and his whole character. I really enjoyed this volunteer project and trying out my hand at children’s book illustrating. Great job Yvonne! This really does fit in with your style. Lots of good feeling and the message is easy to understand. Congratulations to you and Ina. Hope you have lots of success! How can I get the other books that Ina Taffet has written she was my daughter and son’s kindergartner teacher?